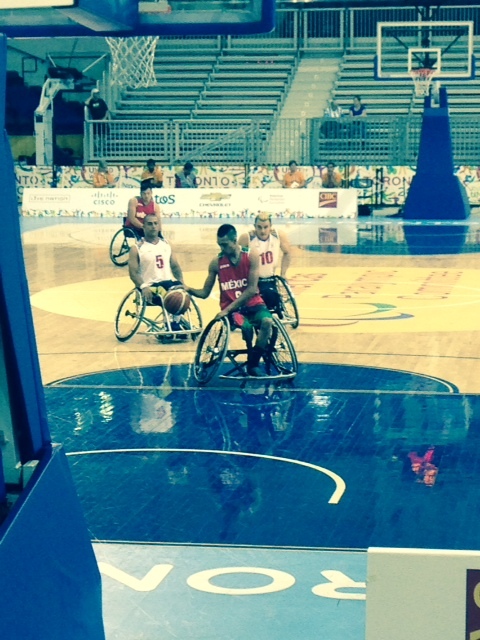 The para-Pan-Am games came to town and we saw an amazing session of wheelchair basketball – what a brutal sport! 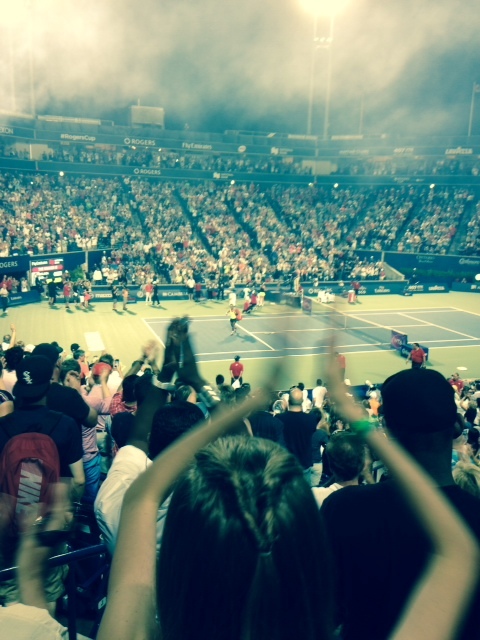 And then there’s the Rogers’ cup, where we went expecting Serena to blow her Swiss 18-year-old opponent out of the water (on our very overcharged tickets) – not to be! The kid won! 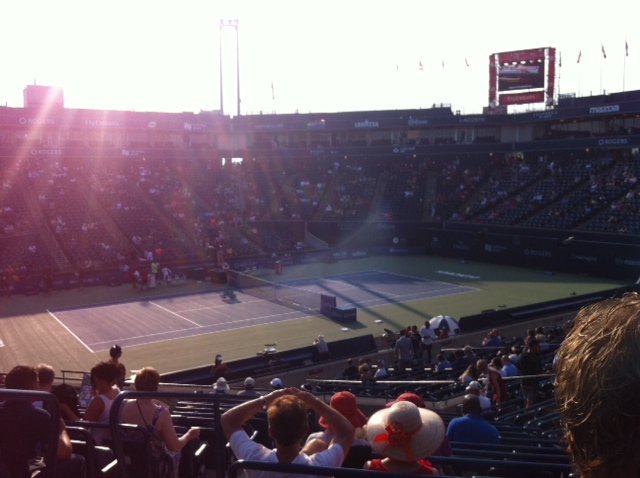 3-6 (bad set – thought we’d be home by 8!) 7-5 6-4. Fascinating – one to watch! 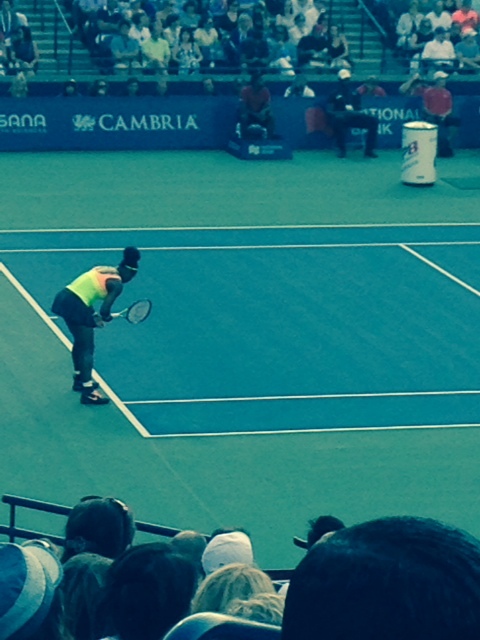 That’s Serena walking away, gracious in defeat. 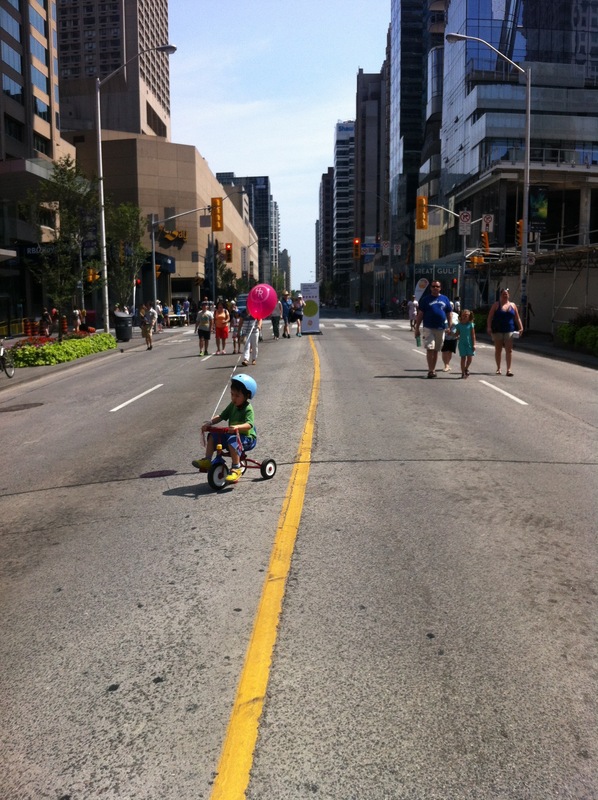 Okay, so it being Toronto the good, the next day we were reminded to get off our buts and do some exercise ourselves – Yonge and Bloor Streets were closed to encourage everyone to get out and about. Posted on August 20, 2015 August 20, 2015 by janesprigge	This entry was posted in Uncategorized. Bookmark the permalink.